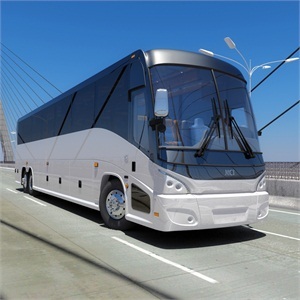 Atlanta’s Cooper Global Chauffeured Transportation recently added four luxuriously appointed J4500 coaches from Motor Coach Industries (MCI). The city’s top limousine transportation company had left the coach business in recent years to focus on its town car and mini-bus fleet, contracting coach service out to nearby competitors. But according to Claudia Farnsworth, marketing and business development director, the economic turnaround has helped make Atlanta the nation’s fourth largest convention destination and Cooper Global decided it was time to retake the wheel. In addition to luxury leather seating and wood grain appointments, each of the new J4500s are equipped with Wi-Fi; satellite television; 110-volt/USB outlets at each seat with a media panel for HDMI, VGA and MP3 connections; and three-point seatbelts. 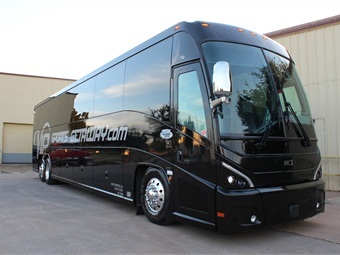 Additionally, Abilene, Texas’ VIP Sports Getaway added a new MCI J4500 with leather seating, deluxe interior, Wi-Fi sponsored by a local sports orthopedic practice, and other luxury appointments to help build upscale charter assignments. It is the third new J4500 the company has taken delivery of this year.